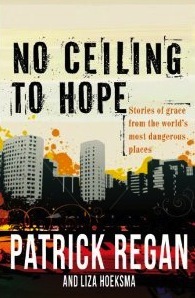 Patrick Regan has spent the last two decades living and working in some of London’s toughest areas. His charity XLP has attracted widespread media attention, a visit from David Cameron and an invitation to speak at the Conservative Party Conference. 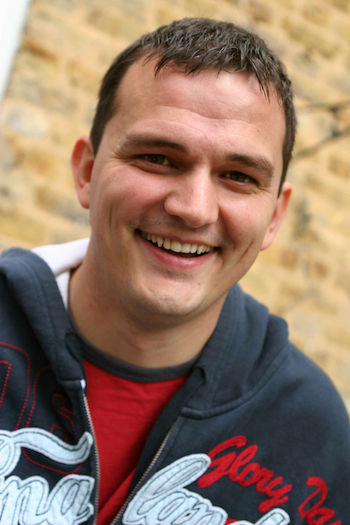 He is the author of three books and is passionate about seeing local communities transformed. 1. Your story starts in 1996. What happened? I was a youth worker in a local church and there was a stabbing in a school down the road from the church. The school phoned the local church to see if we could help get the moral fiber of their school up. But the local vicar didn’t fancy it so sent me as the youth worker to see what I could do. This school had 65 mother tongue languages in it so it wasn’t that the kids were thick or stupid, they just didn’t understand what was being taught to them. We started doing some literacy stuff, we started doing stuff around conflict resolution, there’s a lot of postcode wars going on in the area. God broke my heart for the inner city and some of the situations I was coming across. I found 17 people to support me £25 a month. We started a project called XLP, ‘P’ stood for projects and ‘XL’ stood for wanting young people and their families to excel in every area of their life. 2. How many people are you working with? It’s grown right across London. Now we’re working right across the inner-city areas, and working with about 1000 kids one to one every week. We have 30 staff and 200 volunteers doing a whole range of intervention work, working with schools and two double decker buses that travel onto different estates every afternoon and evening of the week. 3. What’s the main focus of XLP? Reaching the hardest to reach, trying to tackle issues of poverty and educational failure and trying to be there for the long haul. We’ve been going 15 years now and we pray to God we’d be able to keep going and make a difference week in, week out. 3. Are you doing the same projects in each area of London? We’ve discovered that one size doesn’t fit all so we work across London where Tower Hamlets, a big Bangladeshi community and Peckham are very different. Understanding your community and what your community needs is part of the way of realising what projects need to happen. 4. What do you want to say to Christians and churches? As Christians we can live in this bubble where we hang out with Christians all the time, go to Christian conferences and do nice Christian things. But the reality is there’s so much brokenness and pain, and God is really calling us to get out there and try and make a difference. 5. How can Christians have influence in society? By us serving the broken, the poor and the marginalized, that gives us influence over people in power. When Mother Theresa turned up in a country, world leaders would come and meet her. She had no power or marketing team but she had incredible influence because her life screamed at the politicians that you need to listen to me, because of her integrity and how she served the poor. 6. What is No Ceiling to Hope about? It’s looking at how we can reimagine community and reimagine God impacting different situations in the world. So often when it comes to issues around poverty, we just feel guilty cause we’re not doing enough. I wanted to do the opposite of that. There’s a chapter on poverty and how extreme poverty has been halved in my generation, which is amazing. It looks at issues around addiction and homelessness. It looks at the most inspiring individuals who have really got hold of what the Kingdom of God is. What I really want to do is inspire people about some of the amazing things God is doing in our world today. 7. Can you share some of the encouraging stories XLP has? I often say to people there are some heartbreaking stories and some amazing ones. Both of them inspire me to keep going. There’s a kid we’ve been mentoring and we were told by the school that she was on the verge of being excluded. She had boundary issues with older men and her family situation was totally chaotic. We provided a mentor 2 hours a week who lives in the community where this girl is from. It was amazing, she started to change and she started to believe ‘maybe there is a bit of hope for me’. A couple of months ago we discovered that the school was so impressed with her, she had been nominated for Head Girl. There’s a guy working here who’s on the payroll. I met him two years ago and he was very angry with the world. His teacher said ‘you’re gunna end up dead or in prison’. We helped him find an alternative to crime and the lifestyle he was leading. He got 3 As in his A Levels and now he heads up all my sports stuff in XLP. It’s amazing to see those situations turn around but to be really honest with you, for every success story, there are ones that are really tough. We had a shooting a couple of weeks ago near our bus. We’re working with a 15-year-old girl who is on her second abortion. There’s a kidnapping case. The stories are there to make us rejoice and break our hearts at the same time. 8. What has God been teaching you lately? It’s just around trusting God and realising he is in the darker moments. Sometimes I wonder where he is at all. I’m just hanging on to Him really and knowing that He is faithful and He is there. 9. What’s the best Christian book you’ve read? When I was growing up, the book that really inspired me was No Compromise. Recently I’ve read a lot of Brendon Manning stuff. I like a lot of Tom Wright’s stuff. I don’t think I have a best Christian book. 10. Is there a tension between being a Christian organisation, but not being openly evangelistic? We’ve been very open about our faith and how it has a transformational element to it. We see it as a holistic piece. We want people to know Jesus and we pray for them. But it’s about reimagining our community and seeing the possibilities of change. I remember being on Radio 4. This DJ said to me 'oh XLP that’s a Christian project is it?' as if it was a bad thing. I said, 'the fact is the church is at its best when it’s serving the broken, the poor and the marginalized'. Because that’s what we’re called to do. We see the kingdom of God working right throughout everything we do. Rather than segregating the Christian and social justice ends of XLP, we see it all mashed out together. When Jesus sent out his disciples he said go and make more disciples. He didn’t say evangelists go in one corner and social action guys go in another corner. For him, it was about caring for the poor and seeing transformation happen through salvation.